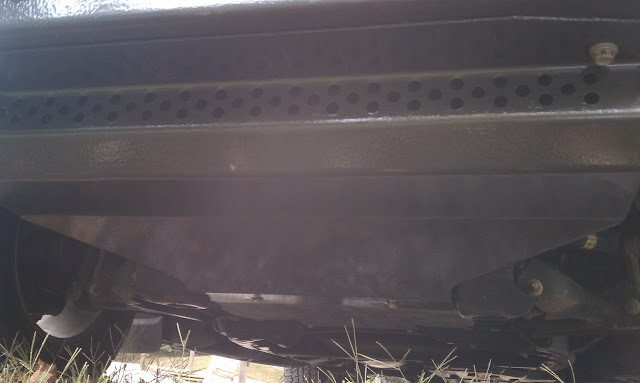 Re: 2010 MTA Bumper / Rad Skid / Oil Pan Skid GB is Here!! cbbryan wrote: That's some pretty sweet armor there Mike. Too bad I don't have any money currently; hopefully after I finish iBOLC I will though. Any plans on a rear bumper? Mike, you could always design it around the stock hitch since so many of us already have it. Don't know how much more involved that would be, having not even removed my own stock bumper yet. I'd think building around the hitch could be quite effective, and would allow for a sturdy cover with minor customer modification. 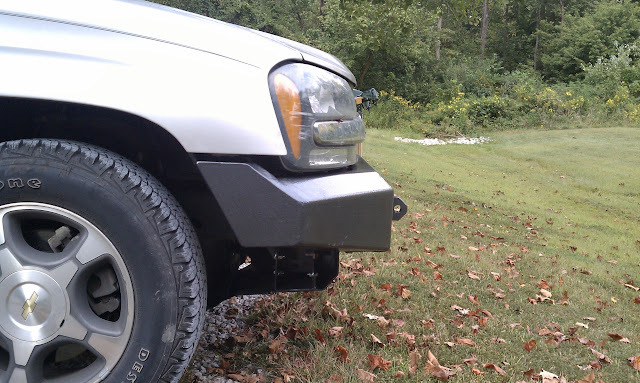 Excess of the original bumper could be cut off to save weight. There's a small creek bed that's dry, that I "tested" the rad skid on at like 20mph, and smacked it what I like to call "laughably hard"... (Like where you turn and look at your buddy, and are both laughing really hard) Stopped and looked a bit later, and nothing was bent or tweaked or anything! You could maybe have a new set of mouting brackets made to move the bumper you buy for a non body lift tb up. I believe this was what Roadie had to do on his truck after her got the 2" body lift. Body lift bumper is flat too tall for stock. by the way, 2 more days if anybody wants in! 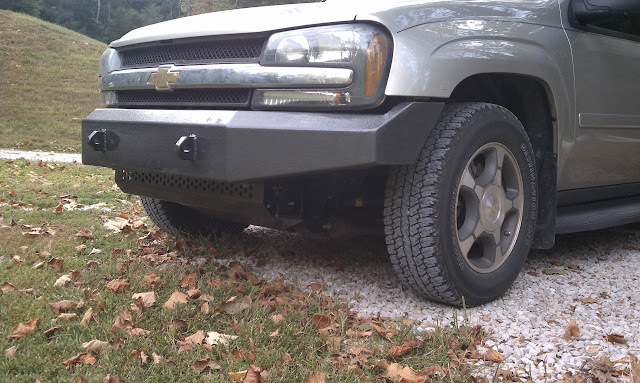 Body lift means cutting the bottom off the stocker and using 3 inch peices of anything to make it rise to the occasion. Your bumpers are far better. But I can testify a 10,500 lb winch wont hurt one of your bumpers when you are stuck balls deep in muck or when the front end want to change places with the rear. I can't wait to get these awesome items!!!!!! Any plans to make something like this for Envoys? Cody_S wrote: Any plans to make something like this for Envoys? Mike, I will be glad to assist in any way I can when you get around to building an Envoy / LT bumper. It is the least I can do for all the help you have given me.